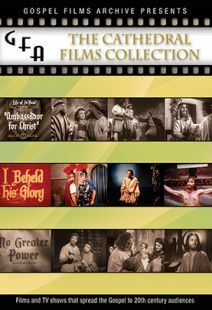 In 1946 Loyola University commissioned veteran B-movie filmmaker John T. Coyle to assemble a pool of accomplished Hollywood actors and technicians to produce a series of 16 mini-movies based on Biblical scripture. These inspired films have long been considered lost. Gospel Films Archive has uncovered eight Loyola Films thus far. 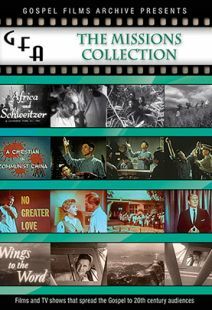 The Loyola Films Collection is part of the Gospel Films Archive, a multi-volume collection of rare and vintage Christian dramas and documentaries produced throughout the 20th century by independent Christian producers as well as major Hollywood studios. These vintage movies demonstrate how the Christian message was communicated to 20th century audiences through visual media. They also provide a heartwarming nostalgic experience that fans of classic movies will love. Though they are from a bygone era, these films often tackle subjects that remain surprisingly relevant for contemporary audiences. 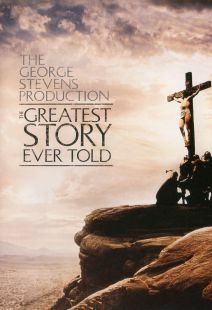 Boyhood of Jesus — 1947 – Loyola University / 20m — A faithful dramatization of Joseph and Mary, the birth of Jesus, and the first 12 years of Jesus’ life as recorded in the gospels of Luke and Matthew. The Good Samaritan — 1947 – Loyola University / 27m — An aged Scribe describes to his grandson Jesus’ parable of the Good Samaritan as recorded in Luke 10. The Rich Young Man — 1947 - Loyola Films / 25m — The parable of the rich young man as recorded in Mark 10 is told with strong production values and with a familiar cast of veteran actors. The Unmerciful Servant — 1947 – Loyola Films / 20m — The parable on true forgiveness that teaches because God has forgiven us, we are to forgive each other, is dramatized by a veteran Hollywood cast. Only eight films remain from a series of 16 original Bible-based shorts produced by Loyola University in 1946. 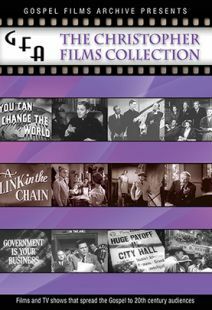 Four of those surviving works—all directed by veteran B-movie filmmaker John T. Coyle (The Living Christ Series)—are compiled in this archival collection. Shot in black-and-white, this set kicks off with "The Boyhood of Jesus," an account of Christ's birth up through his experience at the age of 12 when he spoke with religious elders (the young actor playing the pre-pubescent Jesus has a slightly otherworldly quality that suits a self-aware messiah). "The Good Samaritan" offers a straightforward retelling of the story of the put-upon Samaritan who stops to help a fallen man on the road to Jericho. "The Rich Young Man" recounts the parable about the wealthy landowner who is told by Christ that it is easier for a camel to pass through the eye of a needle than for a rich man to enter the kingdom of God. Finally, "The Unmerciful Servant" dramatizes Jesus's parable about true forgiveness, in which a servant whose bad debt is dismissed learns nothing, since he throws a fellow servant into prison for a small, unpaid sum. A historically interesting collection of films—made through a joint venture between the Hollywood filmmaking community and religious academia—this archival series is recommended. Kirk Mccrea - More of these! Wonderful New Testament stories that come to life and provide morals that stand in stark contrast to the current flow.